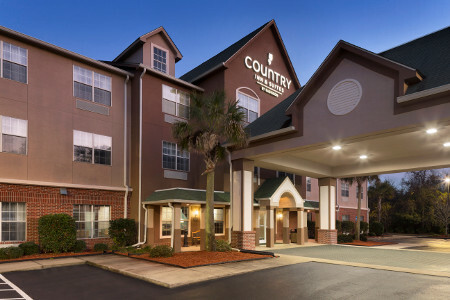 Make the Country Inn & Suites® by Radisson, Brunswick I-95, GA your home base for exploring the sandy beaches of nearby Jekyll and St. Simons Island. Our convenient location off of I-95 provides easy access to historic plantations, beach adventures and outdoor excursions. Spend an afternoon observing sea turtles at the Georgia Sea Turtle Center, and don’t miss out on a scenic picnic at Blythe Island Regional Park, where you can also swim and fish. 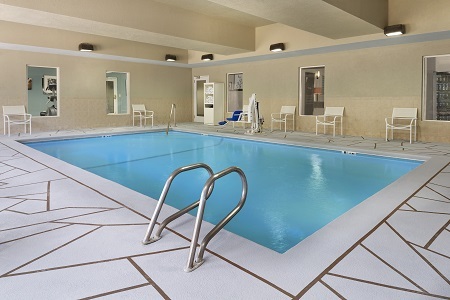 Planning a romantic getaway to the Georgia seaside? 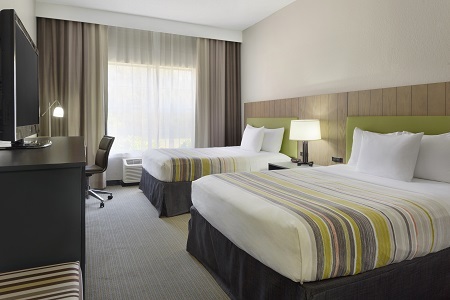 Consider our Whirlpool Suite, which includes a two-person whirlpool and a spacious king bed. 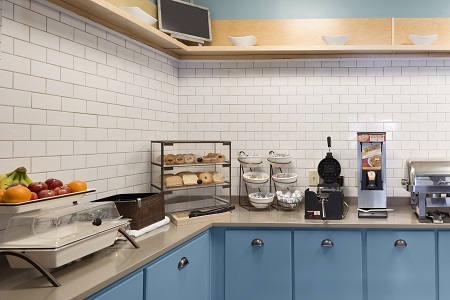 Wake up to our free, hot breakfast where you can prepare homemade waffles or savor sausages, eggs, fruit and pastries. When you’re ready for lunch or dinner, try one of the many nearby restaurants, such as Indigo Coastal Shanty. This popular local destination serves fresh seafood dishes in a quaint atmosphere. Hofwyl-Broadfield Plantation State Historic Site – Drive eight minutes north of our hotel to step back into Lowcountry antebellum history at this well-preserved rice plantation. The grounds’ ancient trees are draped with Spanish moss, and the house itself is filled with the original family’s belongings. Jekyll Island – Find out why prestigious families of the Gilded Age made Jekyll their own private paradise. Today, you can stroll along Jekyll’s beaches, play golf on its courses and learn about conservation at its Georgia Sea Turtle Center. Jekyll Island is just 31 minutes south of our hotel. St. Simons Island – Rent a bike to explore the island’s warm beaches, majestic oaks and historic lighthouse. 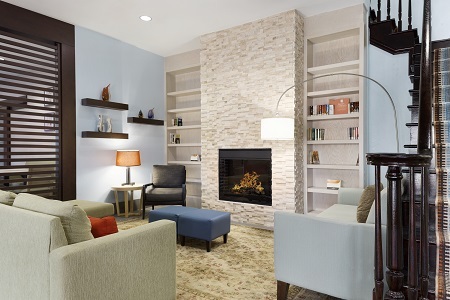 You’ll discover why St. Simons, located 21 minutes east of our hotel, is a popular romantic getaway destination. Host your next birthday party, bridal shower or business seminar in the flexible meeting space at the Country Inn & Suites. Take advantage of free high-speed Internet access, audiovisual equipment, and complimentary water and coffee to ensure your event is a success.